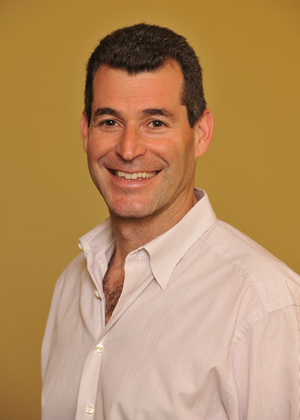 For Dr Rick Behar, the path to becoming a Chiropractor is a personal one. Raised in East Northport, N.Y, his family moved to Florida when Rick was in his teens. He attended the University of Florida and graduated in 1991 with a Bachelor of Science in Accounting. At this point his life took an interesting turn. Always suffering with acute Migraine Headaches, his pain become so severe that he became worriedabout working and earning a living as an accountant. He had tried many different types of medications and treatments and took a litany of tests. Shortly after graduating from college, a friend convinced him to attend a lecture by a family physician on his “How the body really works.” Dr. Behar was introduced to many of this doctor’s patients who had been in acute and chronic pain and had experienced relief. This doctor was a Chiropractor and Dr. Behar soon began seeking chiropractic care himself. The chiropractor took some x-rays, adjusted his spine and gradually the migraines declined to the point where he experienced pain infrequently. That’s when he decided to become a Chiropractor himself. He then attended Life Chiropractic University in Marietta, Georgia, where he graduated with his Doctorate in December, 1995. Dr. Behar has been a licensed Chiropractor for over 15 years and has practices in Pembroke Pines and Weston. He has worked with infants, young children, teens, adults and professional athletes. He is certified in Manipulation Under Anesthesia (MUA) and is a member of the Florida and Southern Chiropractic Associations. He and his staff regularly attend seminars and conferences in order to stay up to speed on the latest technological advances in the field today. Dr. Behar was chosen as the Best Chiropractic Office by the readers of “Our City Weston”, 2007, 2008, 2010 and 2011 and also voted Best Chiropractor by “The Weston Gazette” in 2008 and 2010. Dr. Behar lives with his wife and two children in Weston, Florida. His hobbies include tennis, skiing, guitar, and pilates. Dr Behar does not just practice in the field. He is a living, breathing example of just how Chiropractic care can change your life. He lives it, believes it and is living a truly healthier life because of it. I read this article and found it very interesting, thought it might be something for you. The article is called Dr. Rick Behar, D.C and is located at http://www.windmillhealthcenter.com/meet-our-doctors/dr-rick-behar-d-c/.